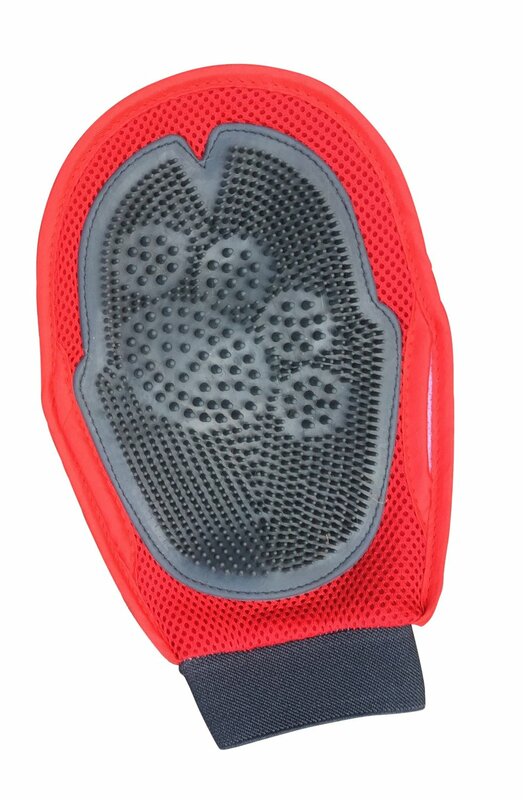 I just got this great dog grooming glove from Chillaxed. This is a really neat little glove it has brush bristles on the palm side of the glove that you can use to brush your pet. It slides on your hand just like a mitt and velcros at the wrist. It’s soft materials and feels comfortable when you are wearing/using it. It fits snugly around the wrist so it won’t fall off. I love that it just feels like I am petting my dog, they have less anxiety about being brushed and seem to really enjoy the glove. We have four dogs so we are always looking for easy ways to maintain their health and grooming and this product fits in really well. Very durable and well made, feels like it will hold up well for a long period of time. Give you pet the ultimate grooming massage with this super luxurious pet grooming mitt by Chillaxed Pet. Turn grooming time into a bonding time that you and your pet will enjoy. No more straining to force pets into grooming. They will love it! Makes bath time fast and easy too! Just add shampoo and water and you have a great lathering mitt that also quickly removes hair. Flip it over and it picks up sheds on furniture and upholstery. Just swipe flat side of glove over upholstery and fabric to grab loose hair. Made from the highest quality materials. 100% LIFETIME SATISFACTION GUARANTEE!